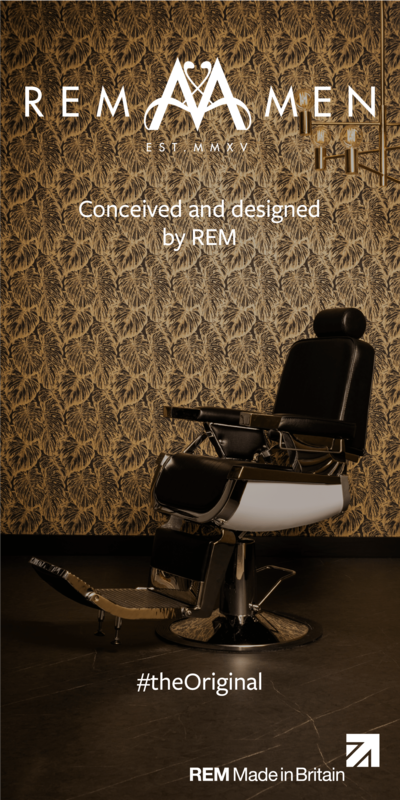 Why did you choose barbering as a career? I initially left a degree in illustration at Plymouth Art College to train in woman’s hair. I’ve always been creative and I loved the idea of being able to demonstrate this through hairstyling. Working in a hair salon was also very sociable; before this the only experience I had been privy to was in traditional barbershops, but this was very different. I worked in a salon for about a year and a half before the apprentice wage and a general curiosity towards men’s hair grasped my attention. One lunch break I went for a haircut at the closest barbershop and ended up talking to the woman that was cutting my hair about my experiences in a salon. I told her I enjoyed the technicalities and creativity involved in cutting women’s hair, but that I wanted to branch out a little. She suggested that I look in to barbering and said “the barbershop had a more relaxed vibe than the salon.” I decided to go for it and five years later I was managing that same shop. It wasn’t long after that I was headhunted by Luka Chitty. He asked me to work in Luka’s Barbers in Plymouth, where I now cut and act as Shop Manager. What’s the best thing about your job? Definitely my customers. I have such a good laugh with them and I can normally scan through my bookings for the week and know exactly what kind of conversations I’ll be having. Knowing that I’m helping them to feel better about themselves by freshening up their look is always a great perk too. You can see a physical change in the way that someone carries themselves after a haircut – the confidence is written all over their face. I’ve also met some incredible people along the way – with some incredible stories –and I’m fortunate to still be meeting more with new customers booking in weekly. It’s a great time to be a barber. 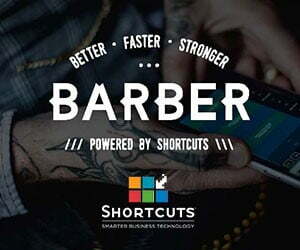 How do you think the UK barbering industry could improve in 2019?It would be great to see more barbers registering with the Barber Council so that we can help to regulate the industry and support all those that call themselves barbers. There are still so many barbers that just knock out cuts for quick cash with no regards for their customers. The poor blokes end up walking around with train wrecks for haircuts and it does nothing for our industry. Ultimately, our customers pay our bills so we should be making their experience the number one priority. What are your favourite tools and why? I love my Sensei swivel scissors at the moment; they’re a great bit of kit! They’re super comfortable and their ability to swivel has really reduced the wear and tear on my body. I’m also getting a tonne of use from my Andis Cordless T-outliners. What is your favourite product in the Bluebeards range and why? My absolute favourite is their sea salt spray. It has an amazing pre-hold that primarily aims to give volume and encourage texture. It works perfectly in things like heavy scissor-worked crops, while also improving volume in styles like quiffs. It smells incredible too, especially when you start to blow-dry your client’s hair. 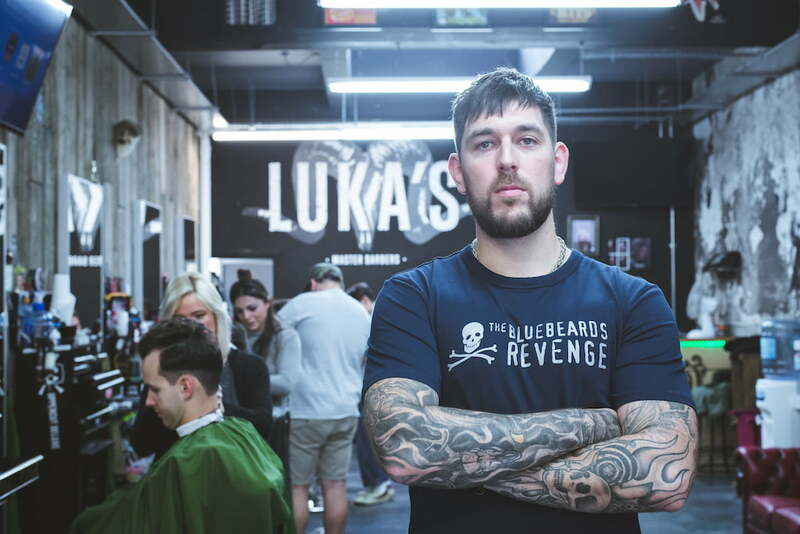 How did you become an ambassador for The Bluebeards Revenge?I’ve been working on photo shoots and smaller collaborations with the team at The Bluebeards Revenge for about four years now. At this year’s Barber Connect I was invited to join them one evening. We talked for hours about their products and the barbering industry in general. We really hit it off and the next thing I know I had an ambassador’s contract sitting in my inbox. I signed it and I’ve been having a great time with them since.